O.M.G. California is having the worst heat wave ever! In the past two weeks my A/C has not been turned off once. I've been working on a bunch of posts related to fall, but we're not having anything close to autumn weather! I have found myself trying to pull out every dress I own in order to combat this heat and humidity. I've had this little ombré number for a couple of years now, but I feel like it's too fancy to wear as a sundress. I have worn it to a wedding, and out for date night, but I should probably start dressing it down to get more use out if it! You might have also noticed my flower necklace, it's just one of my recent eBay finds! I have been going a little crazy with the statement necklaces lately... there will be more to come!! Trivia: I know you've heard the word "ombré" a million times recently, but did you know that the word has actually been around since the late 1800's? In French it's called "ombrer," in Italian it's, "ombrare," and in Latin it's called "umbra." What a great dress on you. It may be to nice to dress down. . .kinda dressy! 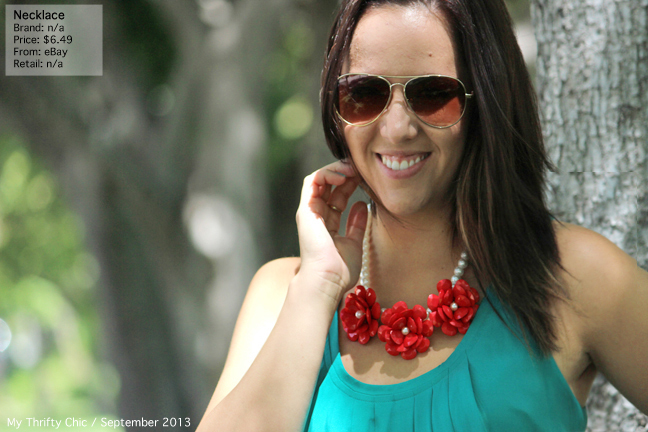 Everything is better with a statement necklace,right?! This color looks really good on you Tori!! Really pretty! Lovely dress, and great accessories! I know! It's been so bad in our apt that we have to sleep in the living room next to the AC unit! I'm ready for fall too but it's to dang hot still! Love your necklace! 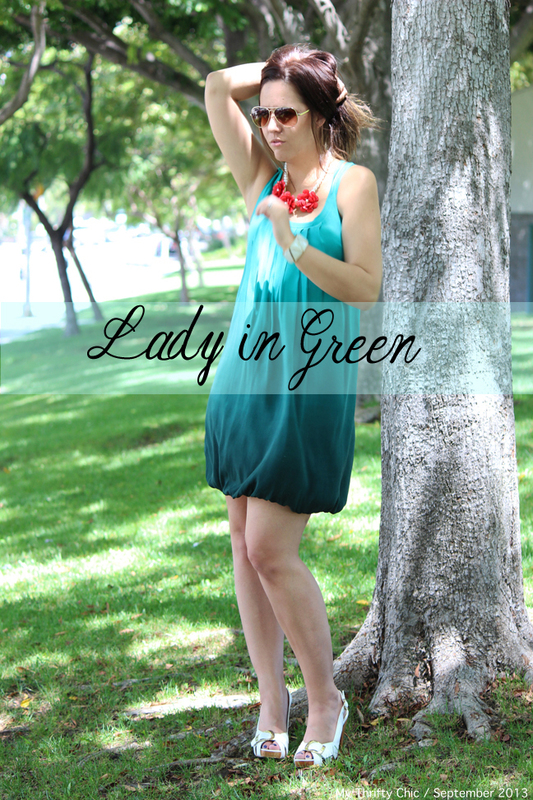 This dress is beautiful and looks amazing on you! I'm okay with the fall clothes coming out soon too because it's my favorite season! It's a great dress. Good move to not leave it waiting for a 'special' occasion - today is just 'special' enough!! Hear you loudly about the warm weather. Am not looking forward to it heading our way at all! I love this dress and I love that fact that you tell where you got everything and how much it cost. New Follower here! i love green and it looks great on you!